Dawson Lodge care home residents have taken a special trip to Portsmouth this month. 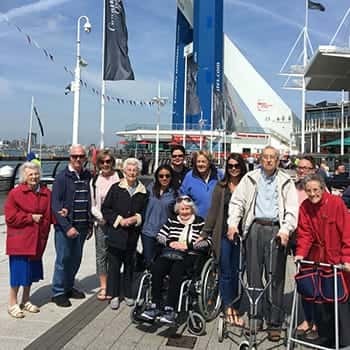 On 18 May a group of staff and residents from Dawson Lodge travelled to Portsmouth to visit the Spinnaker Tower. The trip was arranged as one resident had always wanted to walk on the glass floor of the tower and see the stunning view. For more information, please call the home on 0800 0854259.